Maryan, Dog on Red Background, 1967. Venus Over Manhattan, New York. From Rothkos to Rauschenbergs, Koonses to KAWSes, Art Basel Miami Beach always offers a plethora of billionaire-priced fare from the top of the art market. This year is no exception, with masterpieces hanging alongside pieces by today’s much-hyped brand names. Alongside these riches, there is also, as usual, a wealth of artworks that make you stop, scratch your head, lean closer, and maybe even reflect—if you’re willing to pause your headlong rush to the mega-galleries, that is. Here are a few standouts that merit a second, or even third, look. Born in Nowy-Sącz, Poland, Pinchas Burstein was 12 years old when he was sent to Auschwitz. In the final days of the war he was lined up to be shot—but, thanks to the habitual drunkenness of the firing squad, he was left for dead with a neck wound, and was rescued when the Russians liberated the camp. After six years of living in displaced-persons camps, he went to Jerusalem, where he studied art and won a grant to go to the École des Beaux-Arts in Paris, where Léger became his teacher. Upon graduation, he was swiftly picked up by André Emmerich’s white-hot gallery, but, realizing he would never get citizenship, he moved to New York, living and working in the Chelsea Hotel until his death in 1977, going by the name Maryan S. Maryan. Estate sales of 20th-century art dealers are a great place to hunt for overlooked artists, and the collector and financier Adam Lindemann’s gallery Venus Over Manhattan discovered Maryan when looking through the holdings of the late New York gallerist Allan Frumkin—learning that much of his inventory remained in storage. The artist’s paintings are moody and suggestively violent (Philip Guston was a fan). 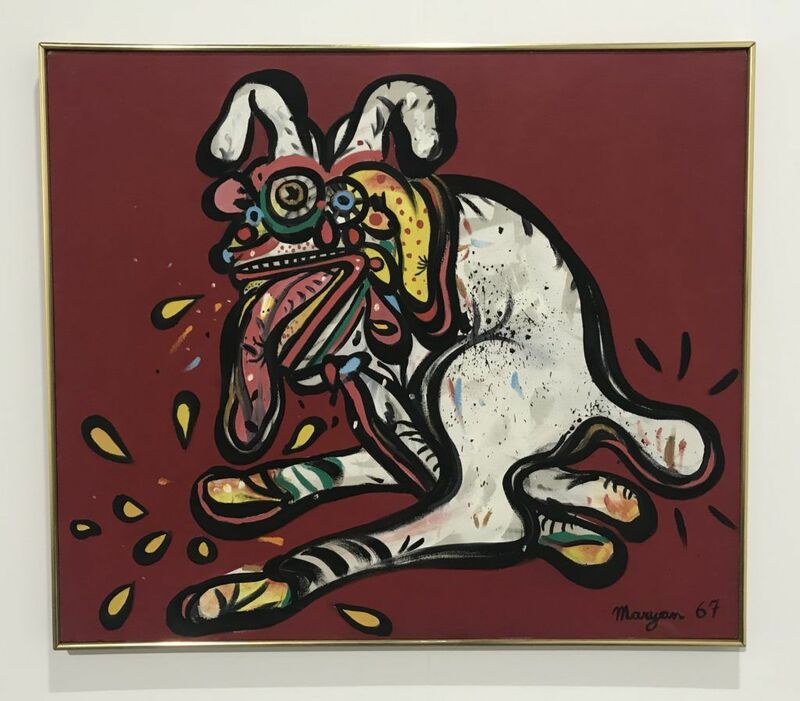 The dogs Maryan encountered in the death camps are a recurring motif, with everything rendered in a frenzied whirl that recalls a mix of Art Brut and Chaim Soutine. Thanks to a gallery’s enterprising market approach, Maryan—who has a growing collector base in Israel and Paris, and has been shown at MoMA and the Guggenheim—suddenly may see his stature in art history rise.